Tiffany Zajas Photography: harry potter. I have been slacking in my blogging lately. Things have been crazy busy around here, but a good kind of crazy busy. So I'm sure you understand. 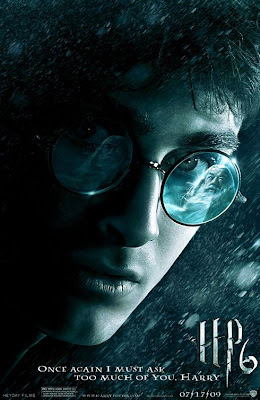 In the meantime, I have really been looking forward to seeing Harry Potter and the Half-Blood Prince. If the movie premiered on the weekend, we definitely would have gone to the midnight showing. BUT, we are getting kind of old to go to a midnight showing during the work week. I need my sleep. In honor of the premiere, I must once again post this hilarious video. Just because it makes me laugh so very hard. Have you seen the Potter Puppet Pals where Harry is "angsty and pubescent and doesn't know why"? It's pretty awesome, I must say.